There’s an excellent interview with poet and editor Rishi Dastidar at Lunar Poetry. 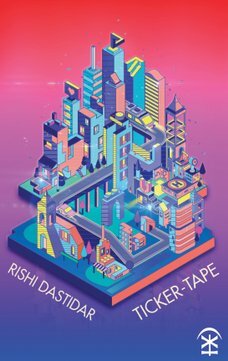 Rishi talks about his approach to putting together his debut poetry collection Ticker-Tape (Nine Arches, 2017) and explains how he first approached Jane Commane at Nine Arches, as well as his method of editing and ordering the poems. He also chats about book design and the poet/editor relationship. All interesting and helpful stuff if you’re interested in that sort of thing! The episode is available on SoundCloud and iTunes and is free to listen to. Rishi also talks about his editing work at The Rialto magazine and at my poetry site And Other Poems. There’s also a really impressive archive of other interviews and readings so take some time to investigate the site. Lunar Poetry Podcasts. I have been working my way back through the LPP episodes after having discovered them a month or so ago. Great resource for international listeners as well. Glad you know about them too!